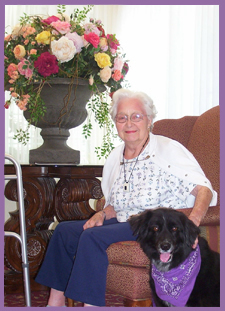 Our goal is to provide compassion, excellence, and expertise in all facets of senior care, whether residing in their own home or a facility. We firmly believe that caring and integrity are at the heart of everything we do. Integrity Care Managing & Senior Living Solutions, Inc. is passionately dedicated to supporting the diverse and unique needs of seniors and the families who love them. We provide a full array of invaluable supportive services to enhance quality of life for the aging and much needed peace of mind and relief for often overwhelmed and perplexed loved ones. Our competent, caring and experienced Professional Geriatric Care Managers/Aging Life Care™ Consultants are here to guide you on the journey of senior care at its best, whether routine eldercare management or difficult complex situations, such as: resistant to assistance, self-neglect, caregiving needs, safety concerns, placement & relocation, family mediation and resolutions, assessments, care plans, liaison with other Health Care Professionals and more…You are not alone, We are here to help! Random House Unabridged Dictionary, Copyright © 1997, by Random House, Inc.
FREE relocation assistance from a true Senior Care Expert, i.e. a Gerontologist offering a wealth of local first-hand knowledge, expertise and extreme familiarity with Ventura County’s Assisted Living Options. devoted to serving you and your loved one. Note: Integrity Care Managing, formerly doing business as a sole proprietorship, is now doing business as: Integrity Care Managing & Senior Living Solutions, Inc., a California Corporation. We hope you enjoy the images on our site. All senior photos were taken on Caring Canines volunteer visits to facilities. All images are ICM’s and are not to be duplicated or copied or used otherwise.